Covanta’s EfW facilities strive to reduce emissions below the strict air emissions limits set by regulatory bodies that have been demonstrated to protect human health and the environment. We employ sophisticated technologies to achieve superior environmental performance and minimize our impact. Since launching our first sustainability program in 2007, we’ve reduced emissions by up to 50 percent. 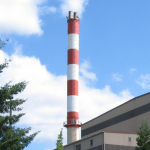 In the United States, air emissions from our facilities consistently fall below established limits, usually operating at 60 to 90 percent or more below permitted parameters. In 2016, we completed a major retrofit of the air pollution control systems at our 26-year-old Essex Resource Recovery Facility in Newark, New Jersey. Covanta operates the plant under a long-term lease with the Port Authority of New York and New Jersey, which owns the facility. Through a voluntary agreement between Covanta, the Port Authority and the New Jersey Department of Environmental Protection, we installed three new baghouses. Operating like a very efficient vacuum cleaner, a baghouse removes 99.5 percent of the particulate matter from combustion gases. As air is drawn through the baghouse, particulate matter and fly ash are caught on the surface of the bags. Periodically, the bags are cleaned by temporarily reversing the airflow or by pulsing the bags with a strong jet of air. The particulate and fly ash are then removed from the bottom of the baghouse. The Essex retrofit lowered particulate and metals emissions by up to 90 percent below levels already well below air permit requirements. “Powering Today, Protecting Tomorrow” also means investing in capital for both the present day and for the future. In 2016, we began a project to replace the baghouses at our Fairfax County, Virginia, facility. While the existing baghouses were performing well, they were reaching the end of their useful life. To ensure continued strong environmental performance, reduce the risk of maintenance challenges impacting facility operations and invest in the continued operation of this critical asset, we are completely replacing all four baghouses, one for each boiler. The work will be completed in 2018. Our facilities use state-of-the-art control technologies to remove air pollutants associated with the EfW process. Our boilers are specifically designed to recover as much energy as we practically can out of the waste resource and ensure complete combustion, including volatile organic compounds (VOCs) and other organic compounds. Most boilers are equipped with selective non-catalytic reduction (SNCR) systems, which inject ammonia or urea into the furnace to chemically convert NOx into gaseous nitrogen, a harmless gas that makes up the majority of our atmosphere. In addition, we have installed Covanta’s proprietary low nitrous oxide system (Low NOx™) in more than 20 units, which helps us control NOx emissions and reduce reagent consumption. 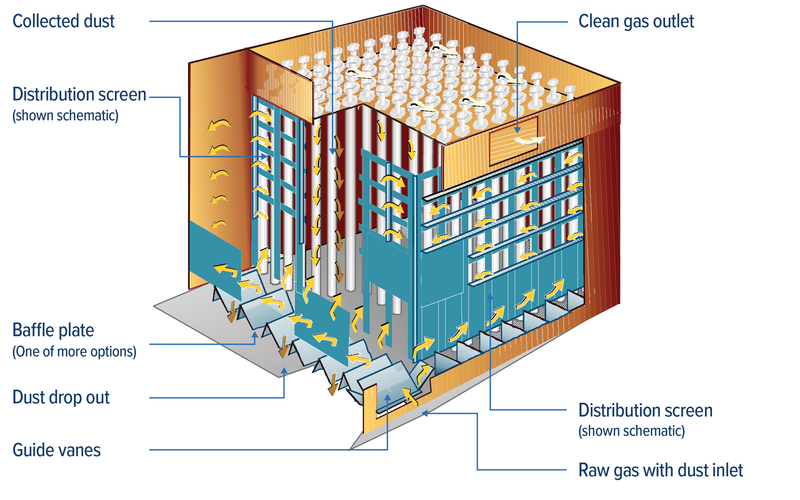 After leaving the boiler, combustion gases travel through an extensive air pollution control system. At many of our plants, activated carbon is added to the flue gas stream as it exits the boiler. Gaseous phase contaminants such as mercury and dioxins adsorb to the surface of the carbon so it can be removed downstream in the baghouse. A scrubber neutralizes acid gases, including sulfur dioxide and hydrochloric acid, by spraying a lime slurry into the exhaust stream. This process removes more than 95 percent of sulfur dioxide and hydrochloric acid. Operating like a very efficient vacuum cleaner, the baghouse removes 99.5 percent of the particulate matter from the combustion gases. As air is drawn through the baghouse, particulate matter and fly ash are caught on the surface of the bags. Periodically, the bags are cleaned by temporarily reversing the airflow or, in other designs, pulsing the bags with a strong jet of air. The particulate and fly ash are removed from the bottom. All of our facilities operate under strict air pollutant control limits. To demonstrate compliance, we use a combination of continuous emission monitoring systems and stack tests performed at least annually.